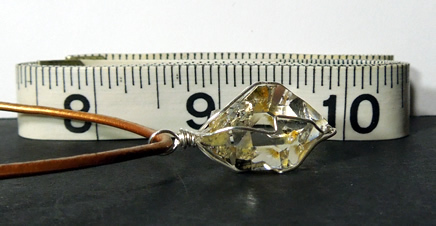 Notes: This golden healer crystal pendant is a quality double terminated Herkimer Diamond with a generous size, it measures 26x16.5x14 mm / 40 ct.
DT's (double terminations) are sharp and clean, as are 95% of facets. 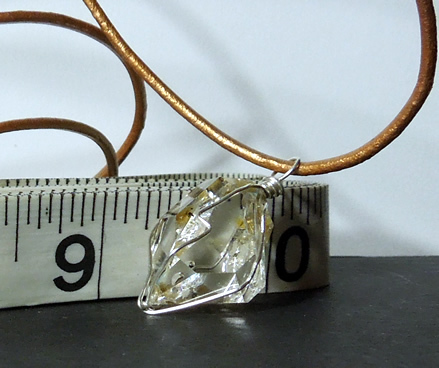 One facet holds a small dt bridge crystal. 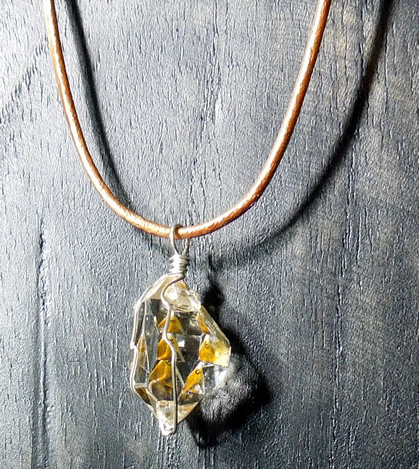 Internally a seed crystal is present. A clear inclusion near one tip sparks an occasional rainbow. Clarity is excellent ! Golden color is not quite as strong in person as photo's depict. 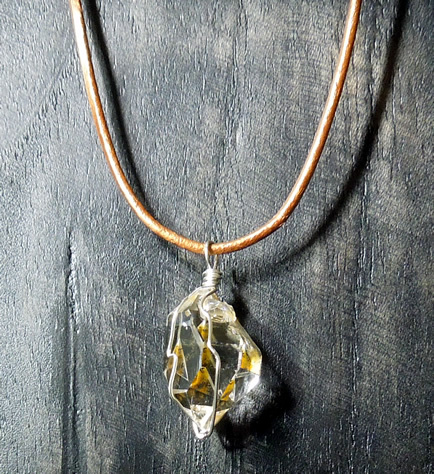 The golden healer crystal pendant is wire wrapped in fine sterling silver and hangs from a copper colored adjustable cord. 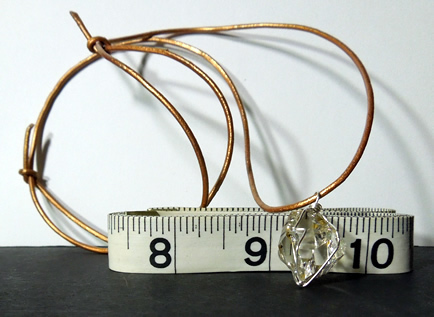 The adjustable cord allows the wearer to easily put on the necklace.